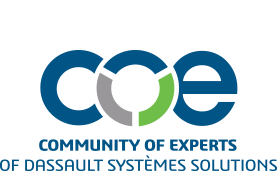 The COE Discussion Forum is an essential tool for all members to utilize – and those who contribute should be recognized. 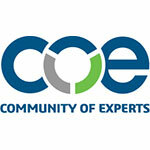 That is why COE has the Community of Experts Contributor Award. The award was created to acknowledge COE members that contribute a substantial amount of the educational content shared amongst the community. The body of knowledge would not be the same without them. This award is given to an individual COE member who has made substantial contributions by sharing personal knowledge on the COE Forums. The 2019 Community of Experts Contributor Award recipients are Eric Neuville, CATIA Automation Genius, Leko Labs; and Roman “Little Cthulhu” Bolshakov, Senior Software Engineer, Sikorsky Aircraft. Eric Neuville has been a very involved COE member since he joined in 2014, including attending six COExperiences. He has posted in the forum 386 times and is a forum moderator. We appreciate his insightful contributions! Little Cthulhu, has been a dedicated COE member since 2011. He has posted 800 times in the discussion forum, with insights primarily focused on Infrastructure, Develop, Deploy & Knowledge (IDDK). We are grateful for his thought-provoking posts!